Everyone loves to spread love once they see 14th February on their calendars. Of course, there are people who do go against this concept, but it does not mean that they don’t have the power to love. Valentine’s Day is celebrated all over the world as loved ones exchange gifts, cards and roses in order to express their love for each other. While many people know what Valentine’s Day is for, they don’t really know why it started and why exactly did they choose 14th February in order to celebrate this day. Here is a list of facts which you probably did not know about this day. Scroll down and be amazed at what you did not know. Every Valentine’s Day 1000 letters are written to Juliet, from the Shakespeare’s famous novel Romeo and Juliet, in the city of Verona, Italy. At an average 22000 wedding proposals take place on Valentine’s Day every year. Red roses are said to be the flower of love because the red colour expresses a strong romantic feeling. It was also the favourite flower of Venus, who is the Roman goddess of love. 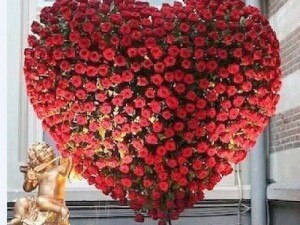 Aproximately 189 million steps of roses are sold in the United states of America on Valentine’s Day. Back in 1800s physicians asked patients to eat chocolate during the time they were crying due to lost love. This might also be the reason why Richard Cadbury produced his first box of chocolates for Valentine’s Day in the 1800s. 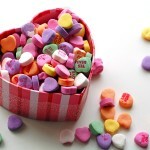 King Henry VII, while ruling England in 1537, officially declared 14th February as the holiday for St. Valentine’s Day. Back in Victorian times, it was considered bad luck to sign a Valentine’s Day card. In terms of retail statistics, almost 3% pet owners send Valentine’s Day gifts to their pets.